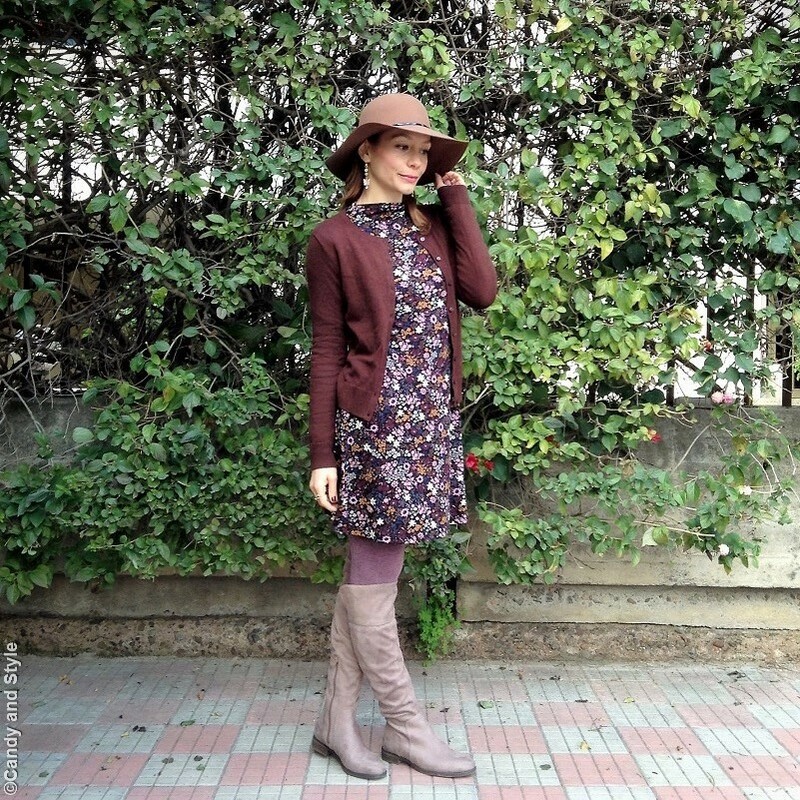 A good color mix for fall and winter today. The print of the dress is really cute and eye-catching, it definitely calls for a dainty style with soft romantic vibes. Hope you like it! Sei bellissima, dolcissima e stilosissima! Che bello l'abitino! Quanto sei graziosa Lilli, trasmetti tanta dolcezza! This is such a pretty combination of colors for the cold weather and I love how you continue to rock florals now. Happy 5th blog birthday Lilli! Wishing you many many more! I'm so grateful for your presence here as well as for your friendship over the years. The girly in me love outfits with a hint of romance. 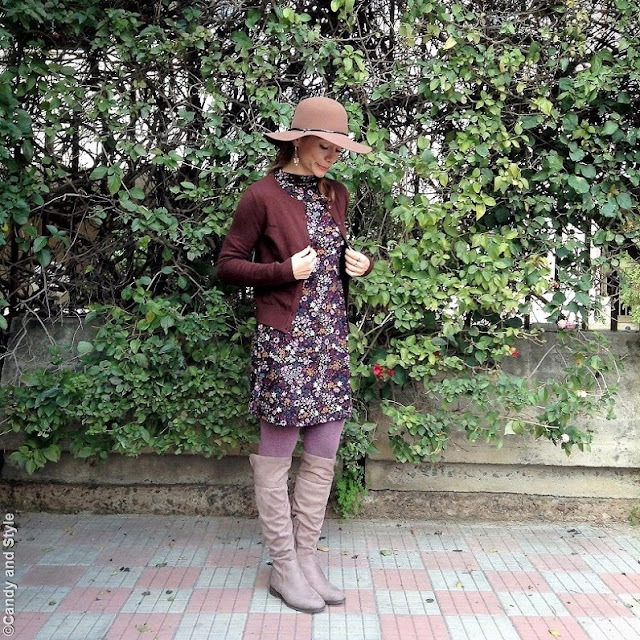 You a right the dress is a cute eyecatching and a hat and the knee hight boots are the perfect partners for this dress. Very lovely. 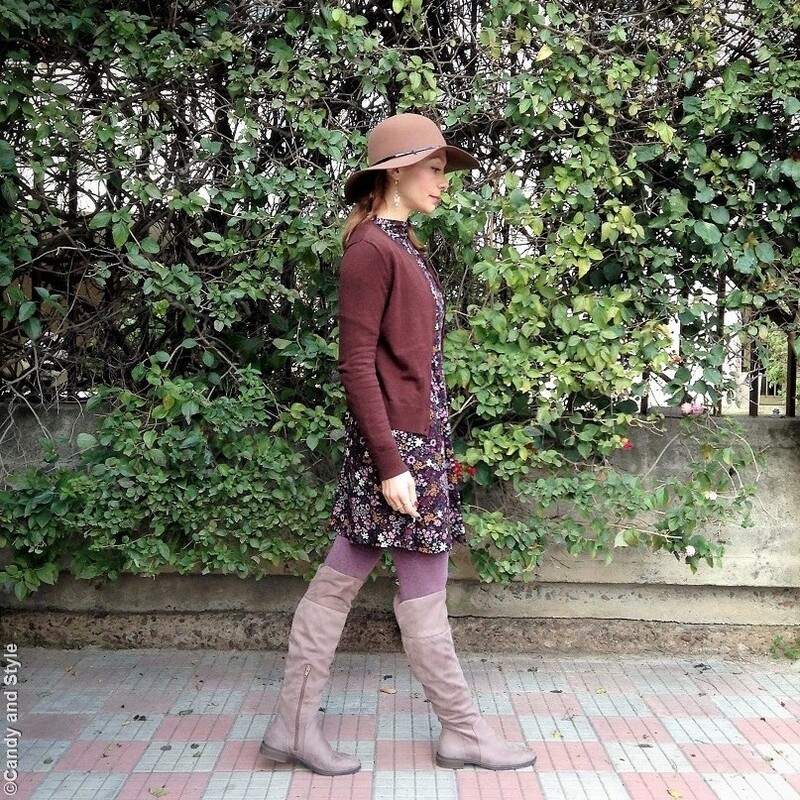 Lovely look for fall, so cute and stylish, love it your boots! Happy weekend Lilli.